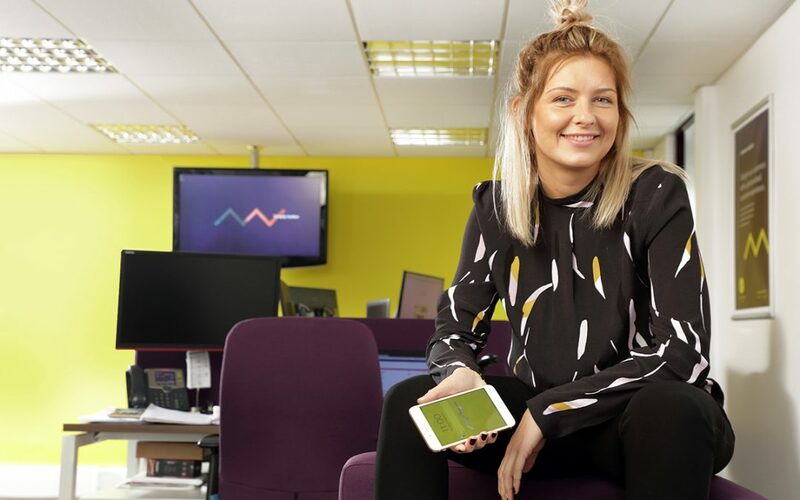 In our latest Spotlight On feature, Leanne Fawcett chats with Nikki Lee, Head of Marketing at CDEMN affiliate member Nice Network, the Sunderland-based IT and technology solutions provider. The company recently underwent a major rebrand and as Nikki explains, also has ambitious plans to double over the next 12 months. Nice Network was known as CCS until you undertook the re-brand. Tell us more about the reasons for that? Our growth over the last few years has been significant, and our aim is to continue to expand – in fact we want to double in size by 2019 so we are very ambitious in what we believe we can achieve. To reflect our plans, we looked at our existing brand and also did some market research and found that there were a lot of other companies called CCS. We didn’t feel the name fit with where we were as a business, so we surveyed our clients to gauge what they thought about it and what words sprung to mind when they thought about CCS. To themes were all very positive – friendly, nice and professional some of the most commonly occurring words. This helped shape our direction and from there Nice Network was born – Network because it really fit with what we do and Nice because it’s what our clients think of us and how we are perceived. Tell us more about Nice Network. The company was launched in 1986 and actually, we sold one of the first mobile phones here in the North East so it’s fair to say we’ve always been at the forefront of our industry. Initially our focus was on the consumer market, but we felt we were missing a trick, so we moved into the B-2-B market. Our services are essentially anything technology, data and IT related and one of unique services is the reports we can produce for clients. No for example we produce a number of reports for one of our biggest clients, Nike, which enables us to forecast what their expenditure will be each month on mobile phones for staff. This allows the financial director to accurately pan his budget spend for the year ahead. It’s a service that we know has proved crucial to many of our clients’ growth. Over the years our portfolio has grown rapidly and as well as Nike, we also count the likes of Puma, Umbro, Newcastle Airport, Russell Hobbs and Esh Group among our clients. You have an impressive record when it comes to client retention don’t you? Yes, we do. Our average retention level is between 12 and 13 years, which really backs up our claims that the services we offer our clients are second to none. It’s this record that has facilitated our own growth and investment – we now employ around 25 people with ongoing recruitment at all levels planned, and we recently invested £250.000 into a new CRM system and office furniture. You’re also an affiliate member of CDEMN. We are, and that’ something we did because we’re committed to being a key part of our region’s business community. For us it isn’t about what we can get from it, the commercial opportunities, it’s about what we can give back to support the area’s continued prosperity. To find out more about Nice Network visit nicenetwork.uk.